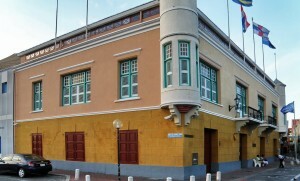 WILLEMSTAD - The government of Prime Minister Hensley Koeiman wants the PSB Bank as its banker. Currently, the Maduro & Curiel’s Bank (MCB) is the government’s banker. The desire to start a new tender comes from the coalition partner Pueblo Soberano (PS). The PS finds the PSB Bank more appropriate because the bank is already owned by the government. In 2015, the MCB took over from the Giro Bank. The decision to appoint a new bank lies with the new Minister of Finance, Kenneth Gijsberta of the ruling party MAN.